New incubator looks to plug small government contractors into the lucrative pipeline. Business incubator aims to help small firms win government work. New ‘GovCon Incubator’ seeks to help small firms make the leap. Who stands to make money from the new federal budget? John Tucker interviewed Olessia Smortrova on March 7, 2018, for a segment on small business aired the following week in 50 markets. Join our community of small businesses seeking to grow aggressively in the government market and win more Federal contracts. GovCon Incubator offers Knowledge, Mentoring, Networking, and Infrastructure to government contractors. We apply the most sophisticated processes we use to help the top-tier Government contractors win to the small businesses, giving them a winning edge. Bring our business development, capture, and proposal experts to improve your probability of winning a Federal government contract. We can help you with developing an opportunities pipeline, prepare for the bid ahead of time, and manage and develop a winning proposal. We follow a distinct methodology for every step of the process that produces consistent results for our clients. Join the winners’ circle! Find opportunities, write winning proposals, and win multimillion-dollar contracts. 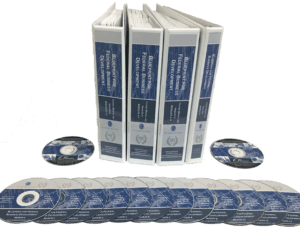 This comprehensive blueprint includes 30 hours video of presentations, process maps, checklists, examples, and other reusable tools to help you succeed. Instantly download the course or get a physical copy (your choice). This class will help me in the future for proposing new ideas and trying to bring funding to new projects. As someone who has spent a career dealing with Centers of Excellence and individuals who consider perfection a routine endeavor, OST has developed a program that fit our standards perfectly. OST has consistently delivered outstanding work, so we turn to them for everything. and tell you exactly how we can help you reach your goals.